Discussion in 'iPhone and iPad Games' started by RGM1990, Nov 4, 2018. 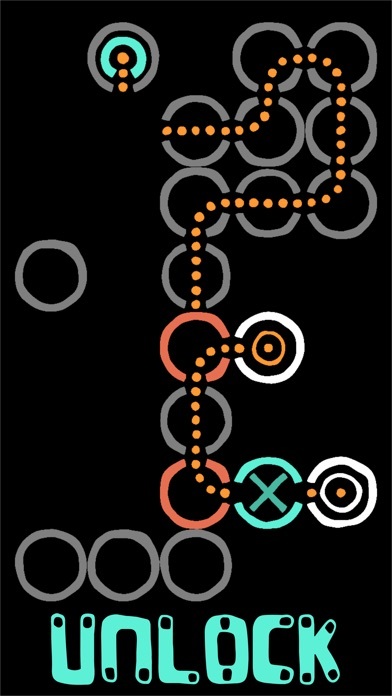 Dot To Dot is a challenging puzzle logic game totalling 80 levels. 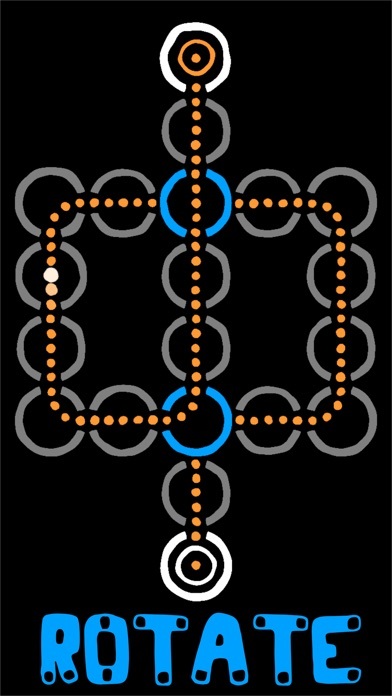 The objective is simple: pass the dot to the exit. It is your job to adjust the path accordingly. Tap to rotate blue elements and swipe to move red elements. It is a matter of logical thinking and timing. 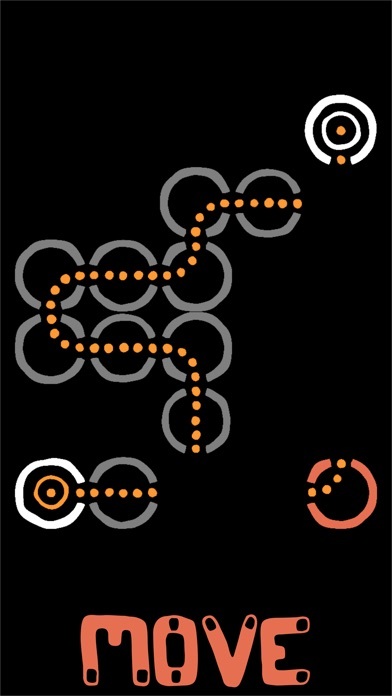 This is the third app game that I have developed for the iOS App Store. For this game I focussed on the art style and the level difficulty progression. 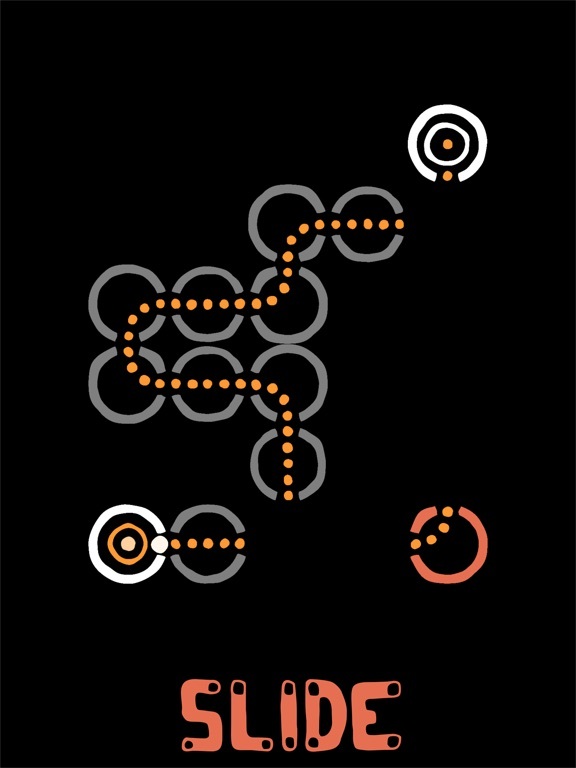 Dot To Dot is a challenging puzzle game totalling 80 head scratching levels. The objective is simple: pass the dot to the exit. It is your job to adjust the path accordingly. Tap to rotate blue elements and swipe to move red elements. It is a matter of logical thinking and timing. The app has been live for 36 hours and some people are over 75% of the way through! The graph below shows percentage of people passing each level. This is the first time I've implemented game analytics. 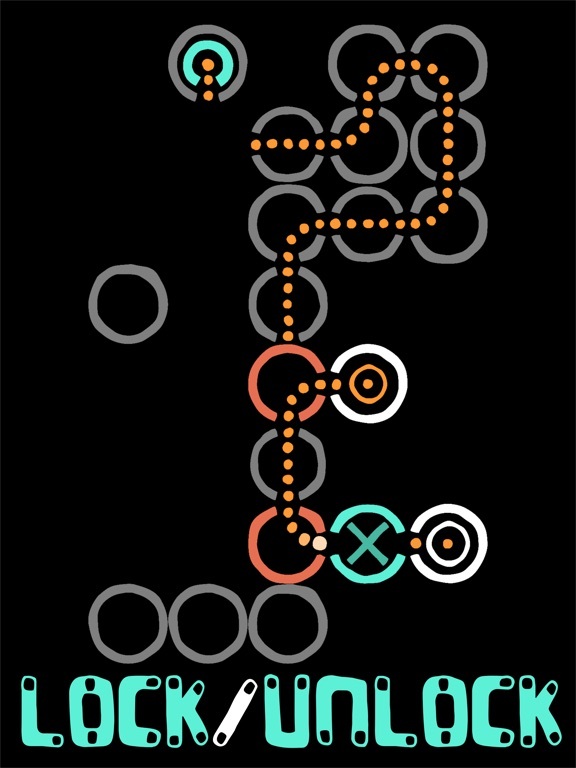 I want to use it to spot levels that are too difficult and causing people to fail. 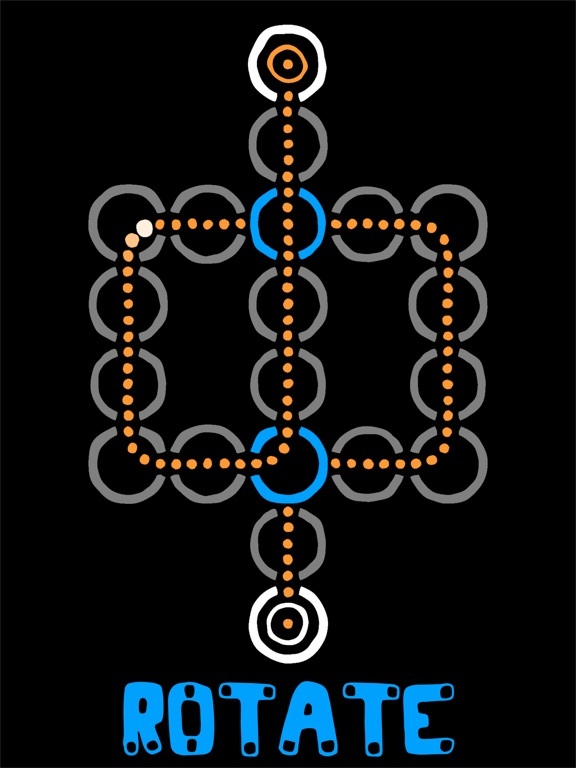 Based on this and player feedback, I've just submitted a second version to apple for review with a revised set of levels. Looking for some feedback on the game. Any takers? I’d like to see more posts showing analytics. Interesting to see that type of feedback. I can’t quite read what is shown on the axes but clearly some levels have sudden increases in difficulty. So I tried Dot to Dot and it’s fine at the moment as I haven’t yet reached those critical ponts on the graph! 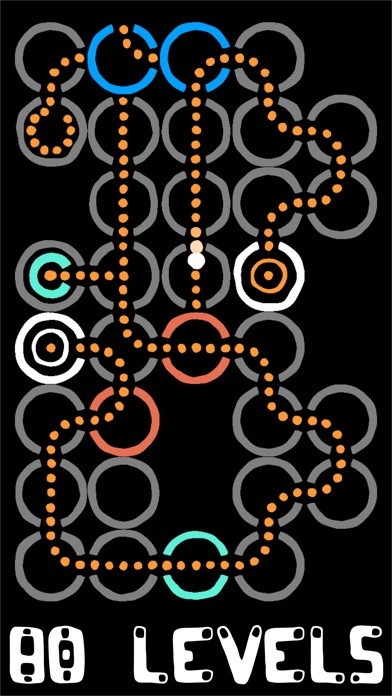 I don’t usually play this sort of game for long as I get tired of all the tapping to restart levels. However, the developer has removed this annoyance with levels being in a a state of constantly repeating restarts. It’s a small thing that makes a big difference, actually making it 100 times more playable for me. So far, nobody has passed level 63. I've looked at this level and I think it is too difficult for that point in the game, so I've since made it level 73 (for version 2 of the game) see below. One of the other things i want to look at is how quickly players lose interest and stop playing the game. It looks like only around 20% of users get halfway through the game (Level 40). 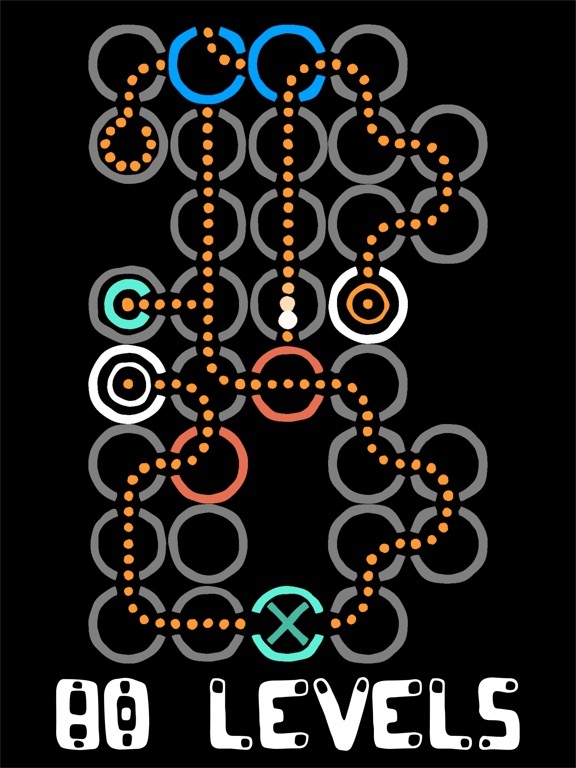 Given the time and effort that goes into designing the levels, perhaps i'd be better off just focussing on 40 levels rather than 80... maybe I should keep this in mind for future games. I second what @Asp writes about the constantly repeating restarts. The only feature I miss is the possibility to turn off the music and keep the soundeffects. Well I will second what @jyhjyh writes. I hate all music! Up to level 37 by the way. Thanks, I'm glad you are enjoying the game. I will make sure to add a button for music on/off at the next update. This is definitely something I overlooked! In other news, one person has now completed the game!